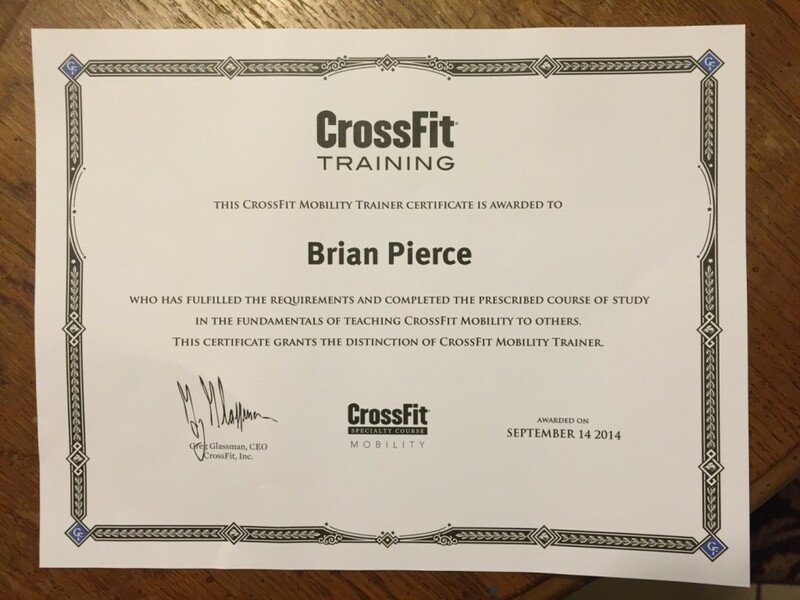 Back in September I attended a CrossFit Mobility Certification class at CrossFit 214 in Dallas, Texas. This mobility class is taught by the staff at MobilityWOD.com. Since I am not a CrossFit trainer and I don’t have my CrossFit Level 1 Certification, I took this class for pure educational reasons. As mentioned, I have had a few injuries, been through a couple of surgeries and have daily reminders of those mishaps in the form of body aches, joint pain and daily foam roller sessions. I have been an enthusiast of MobilityWOD and its founder, Kelly Starett, since I was first turned onto his videos, mostly because of his ten minute squat challenge. Through years of watching his site grow and his celebrity status skyrocket, I have found numerous methods to help alleviate a lot of pain and discomfort. The instructor for the class was named Danny. A recent Army veteran, he was extremely straight forward, which was great for someone like myself who is basically uneducated on the specifics of the body’s anatomy. In a few on-hand sessions we broke down the MobilityWOD approach to mobility and recovery so it could be applied to our own needs.. This seems to be the main reason most people take the MobilityWOD Cert class. The majority of the afternoon was spent using VooDoo bands, weight bands, lacrosse balls, the MobilityWOD Supernova and partner stretching in order to learn how to Test and Retest various ways to fix our body. One of the most important factors of the MobilityWOD process is Test and Retest in order to make sure that what you are doing is actually making a difference. A great example of this was the testing of our squat. We were asked to do a few air squats, focusing on how the squat felt. Our partner then helped work the fascia on the top of our quad to loosen up. While lying on our backs, our partner would lightly rub on the top of our quad with their foot (tip: stay vocal about what is too little or too much pressure). This may sound like a very minimal exercise without much impact, but it changes the way your squat feels entirely. My right side had more of a “ropey” feel than my left, where the fascia was much tighter and needed to be loosened up. After both sides were treated, I retested my squat and it felt as though I was levitating into the squat position. It was a real “ah ha” moment for me, which helped to emphasize the importance of the Test and Retest aspect of the process. My original purpose for taking this certification class was purely selfish: I wanted to learn more about MobilityWOD so I could apply some of their teachings to my own mobility and recovery program. While listening to Danny talk to the coaches in the room about applying this information to their CrossFit class, I realized there was a place for this in the dirt bike community as well. I have listened to too many racers and riders complain about body aches, sore joints and other common ailments that they need to be doing something about. Hopefully I will be able to shed some light on why we have certain pains in specific places and ways to bring some relief to those areas. As I continue to write about this topic and offer methods that can help us as dirt bike riders, think about other areas in life where these practices can apply. One that is easily overlooked is sitting at a desk for 8+ hours a day. Getting up a few times during the day to do some air squats, stretches or even a quick foam roller session, is a great way to prevent the body from taking excessive impact from sitting. Although I am not a doctor nor a personal trainer, due to personal injuries I have spent a lot of time learning about my body and the best ways for me to alleviate pain in problem areas. Feel free to experiment on your own with any methods I discuss or any others on MobilityWOD.com. The #1 rule for this is: “If It Feels Sketchy, it’s Sketchy”. You are your own gauge and need to be 100% focused on helping yourself. You will not get positive results if you are pushing past certain triggers in hopes that the pain will go away. Please comment below if you have specific issues you would liked addressed. I’d also love to hear success stories or even failures. By being more vocal in this community we will be better able to help each other out.